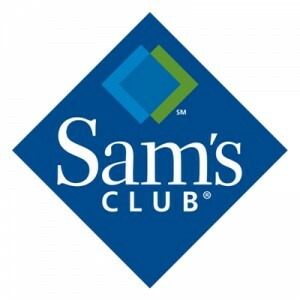 Sam’s Club is a chain of membership warehouse clubs that retail a wide range of products including appliances, shoes, apparel, computers, home improvement, school supplies, restaurant equipment, grocery, pet care items, and many more. The company was founded in 1983. Its first store was established in Midwest City, Oklahoma. It is a division of Wal-Mart Stores Inc. and was named after Walmart’s founder, Sam Walton. The company has more than 500 membership warehouse clubs in the United States, making it one of the biggest retailers in the country. It also has over 100 locations in China, Mexico, and Brazil. Employee benefits offered by the company include medical insurance, 401k plan with company match, Business travel accident insurance, vision and dental coverage, profit sharing and stock purchases. The company also offers complimentary club memberships to its employees. Aside from that, most of the employees also enjoy paid vacations, paid training, and flexible working schedule. How old do you have to be to work at Sam’s Club? The minimum age requirement at Sam’s Club stores is 18 years old. However, 16- or 17-year old applicants may also be hired but only as cart attendants. There are nine job positions in each Sam’s Club stores namely, cart attendant, stocker, backroom, and receiving associate, truck driver, fresh food associate, cashier, sales associate, member service associate, specialized associate, and department manager. Cart Attendant: a cart attendant or a janitorial associate manages cart movement in the location. He operates equipment to gather carts from the warehouse’s parking lot into the store. He also cleans the parking lot, sales floor, and restrooms. The cart attendant must ensure that members are pleased with the orderliness of the equipment in the warehouse. Stocker, Backroom, and Receiving Associate: a stocker, backroom, and receiving associate stocks and restocks products on shelves. He also unloads trucks and makes sure that the items received are properly transferred to and sorted in the backroom. He also ensures that aisles are neat. The stocker, backroom, and receiving associate must engage drivers and vendors with a friendly attitude. Truck Driver: a truck driver is responsible for the delivery of goods to and from the warehouse. He must be knowledgeable to traffic laws and accident procedures. He reports road incidents, mechanical issues, and other problems immediately. He is also responsible for the loading and unloading of cargo. The truck driver must keep his license up to date. Fresh Food Associate: a fresh food associate ensures that the products in all departments are high quality and fresh. He must prepare ready-to-eat food and pack ready-to-sell products. It is the fresh food associate’s responsibility to maintain cleanliness in all areas, shelves, and departments where food products are displayed. Cashier: a cashier or front end checks out members quickly and accurately. He greets and thanks members and attends to their needs and questions. He also assists associates in the store whenever necessary. The cashier must ensure that each member leaves the store pleased and happy with his service. Sales Associate: a sales associate is primarily responsible for assisting club members with their needs. He attends to members’ queries and helps them find the products that they are looking for. He also makes sure that his area is neat and clean. The sales associate must handle all members’ concerns with a positive attitude. Member Service Associate: a member service associate supports the department manager in facilitating the completion of store level tasks. He ensures that shelves are complete and that products are properly displayed. He must be ready to perform other tasks that the department manager may assign. Above all, the member service associate must be able to respond to members’ requests quickly. Specialized Associate: a specialized associate assists different departments with their needs. He assists members in vision center. He knows how to change tires, refill oil, and perform other general maintenance in the automotive department. The specialized associate must also ensure that supplies and equipment are handled in accordance to the company’s safety standards. Department Manager: a department manager sees to it that members are satisfied with the overall service of the store. He works hand-in-hand with the associates and tours around the warehouse to ensure that all areas are properly maintained. The department manager must be able to communicate with all other employees in the store and command them if necessary. You may go directly to the local Sam’s Club store near you to apply for a job position. Each store has a computer station in which you can fill out the company’s application form. If you want to apply online, you can apply through the company’s careers website. There, you can select your location and check if there are job vacancies in the stores within your area. When you fill out the form, make sure that you provide the correct information because you cannot change your application after you’ve submitted the form. Submit the form only after you finalize everything. You will receive confirmation upon submission. No resume is needed for the job positions mentioned above. However, you may use your resume as a reference for some information that will be asked in the online application form. After submitting your application, you have to wait until the company contacts you for an interview. Aside from doing your research about the company, you also want to prepare for questions related to customer service and management. Sam’s Club values members as part of their culture. Employees are expected to provide quality service and pay respect to all members. Aside from that, the company always strives for progress. It helps its employees grow and improve. As a matter of fact, the reported average number of associate promotions that happen every year in the company is 20,000. Furthermore, over 75% of the company’s department managers came from lower positions. The company is known for its Member’s Mark. It’s a special brand of products that are exclusively available for the company’s members. All products included in the Member’s Mark are unique, high-grade, and eco-friendly. The company is also known for its efforts to provide assistance to other parts of the community. In 2015, the company started investing on nonprofit organizations that provide capital to women, veterans, and small business owners. 1 How old do you have to be to work at Sam’s Club?